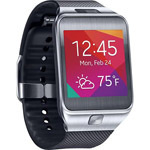 Smart Watches – Will They Take Over? Smart Watches – The Latest Fad? These days, smart watches are all the rage, and they’re being touted in the media as The Next Big Thing. While a number of companies manufacture smart watches, the entire world seems to be waiting for the announced-but-not-yet-available Apple watch, which everyone presumes will completely change time as we know it. It might; tablet computers had been around for a number of years before Apple made them popular. Apple created the smart phone and their reinvention of MP3 players allowed them to take over the industry so completely that few people can even name a competing product. It only seems logical that smart watches from Apple might have the same impact on the marketplace. Wristwatches are another matter entirely, however, and if anyone thinks that Apple, or any other technology company, is going to take over the industry and render traditional wristwatches obsolete, they’d better take a look at history. What are “smart watches?” The definition varies, but the most common explanation is that smart watches are electronic wristwatch that can display certain information besides the time that might be useful to the wearer. Models that can display heart or pulse information for joggers and others who exercise have been around for years, but the new smart watches will also be able to display information relayed from a smart phone or similar device using Bluetooth technology. Smart watches would allow the wearer to see, for instance, if they had an incoming text message or email message and possibly allow them to respond. Exactly what features smart watches should offer and how they should work are still being sorted out by the industry, and that’s why everyone is waiting to see what Apple is going to do. Will Apple take over? Not likely. They will certainly sell a lot of watches, and they will likely take over the market for smart watches in general. Will smart watches put watchmakers out of business? Probably not. The market for smart watches is largely a separate one from wristwatches in general and luxury watches in particular, and the latter group has certainly withstood dramatic changes in technology in the past. Over the past several hundred years, there have been a number of changes in the watchmaking industry. For the most part, these changes have involved technological advances that allowed the timepiece to keep time more accurately than previous models. Other advances may have involved adding complications, such as a second hand, or the day of the month or the day of the week. Further advances included stopwatch and elapsed time indicators. Still, until the late 1960s, these advances simply made mechanical timepieces better. That all changed in 1969, when the first electronic quartz watches appeared on the market. At first they were seen as a novelty, and early models cost as much as a new automobile, but it soon became apparent that they were more accurate than mechanical watches, required less maintenance than mechanical watches and eventually, became even more affordable than mechanical watches. By the mid-to-late 1970s, electronic watches had become affordable commodities and had largely taken over the wristwatch market. This led to a number of older watchmakers in Switzerland to go out of business and a few of the better-funded watchmakers added quartz technology to their product line in order to remain competitive. That’s how we got the Rolex Oysterquartz, a watch that is now relatively rare. Eventually, the panic in the industry subsided. A consortium that eventually became the Swatch group was created to bring the mechanical watch back, and new manufacturing techniques allowed watchmakers to compete on price while also providing improved accuracy. Luxury brands, such as Rolex and Patek Philippe, changed their focus and returned to emphasizing luxury and build quality. Through good design and clever marketing, people began, once again, to perceive a mechanical watch as a prestigious luxury item. And in time, the novelty of having a watch display numbers, rather than hands and a dial, began to wear off among buyers. Today, most electronic watches resemble their mechanical counterparts. Even if the inner workings are quartz-powered, most buyers prefer a timepiece that looks like a watch, and that means a traditional dial and moving hands. 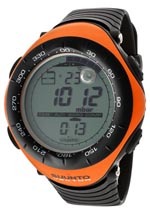 While digital displays still exist, they’re mostly found in models created primarily for sports use, such as those made by Suunto, or in less expensive, bargain timepieces. 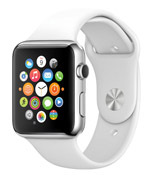 The Apple watch will be a huge hit, and millions of people will buy them. Many of those people will be either people who don’t ordinarily wear wristwatches or people who own more than one and want smart watches as a second timepiece. Luxury watchmakers, such as Cartier or Ulysse Nardin, will be able to safely ignore the trend; you aren’t likely to find smart watches in their product lines. Their customers are looking for a different product and will continue to go to those companies for high-quality mechanical timepieces and the gold, jewels, and prestige that come with owning them. A few companies will jump into business with smart watches as their primary product and will quickly go away as their version of the product fails to catch on with the public. A few other established brands will add smart watches to their product lines and while they may sell a few of them, they won’t get rich doing so. In the end, the market for smart watches is likely to be dominated by just a few brands, with Apple likely taking the lion’s share of the sales. There may even be a few surprises. One Chinese company recently announced their plan to market mechanical smart watches. When the dust settles, things will likely remain much as they are now. Luxury brands and older, established manufacturers of quality timepieces that offer traditional features, such as the time and the date, will continue to do no better or worse than they are now. While the early 1970s revolution was rightly regarded as the “quartz crisis”, the industry managed to survive and the lessons they learned then will be applied here so that the “revolution” of smart watches, at least as far as the watchmaking industry is concerned, is likely to be little more than a bump in the road. 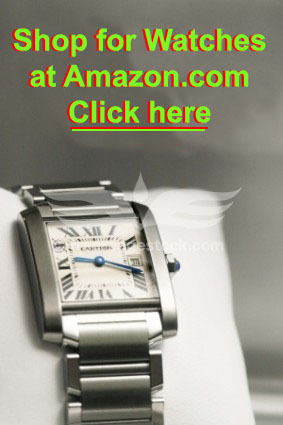 Click here to shop for luxury watches and smart watches at Amazon.